When you see a place with all 5 stars you start to think it is too good to be true. Well lets just say if I could give them 10 stars I would! This place really deserves it though! Customer service is HUGE in my book. The second I walked in they greeted me even though they were eating lunch and had me in and out within 15 min. Being a female going in a . . . 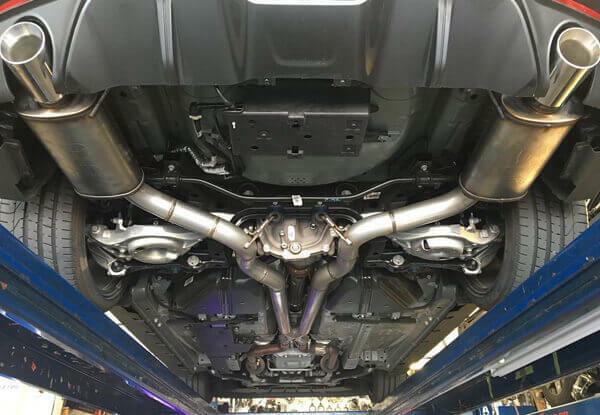 Since 1999 Rogers Exhaust Shop has been the best source for high-quality, competitively priced exhaust system services in Fontana. Our experienced mechanics provide expert sales, installation, repair, and replacement of catalytic converters, mufflers, exhaust piping, and more. We also specialize in exhaust system modifications, customizations, and performance upgrades, such as air flow intakes and performance chips. Additionally, we provide custom trailer hitch installation for cars, trucks, and RVs, and welding services. Over the last 18 years, we've served more than 100,000 satisfied customers throughout Fontana, Rancho Cucamonga, Ontario, Riverside, San Bernardino, Redlands, and surrounding areas and earned nearly 80 five-star reviews on Yelp. 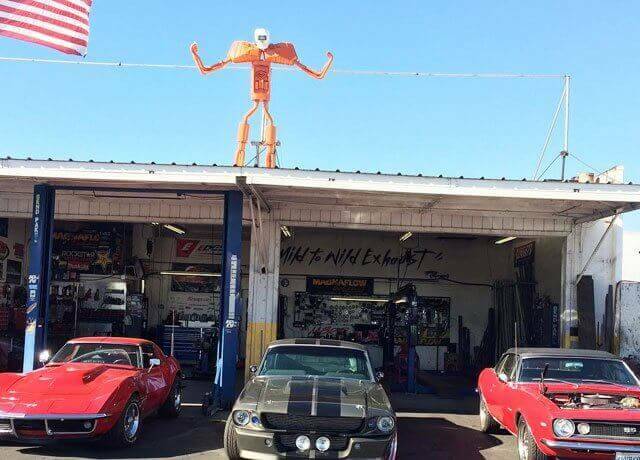 With our extensive knowledge, well-equipped facility, and large inventory of parts, we're able to provide innovative and cost-effective solutions for improved power, performance, handling, fuel efficiency, and sound for any vehicle make or model. As a family owned and operated automotive shop, Rogers Exhaust Shop takes customer satisfaction very seriously. When you work with us, you can always expect honest advice, fair pricing, expert workmanship, and quality parts. 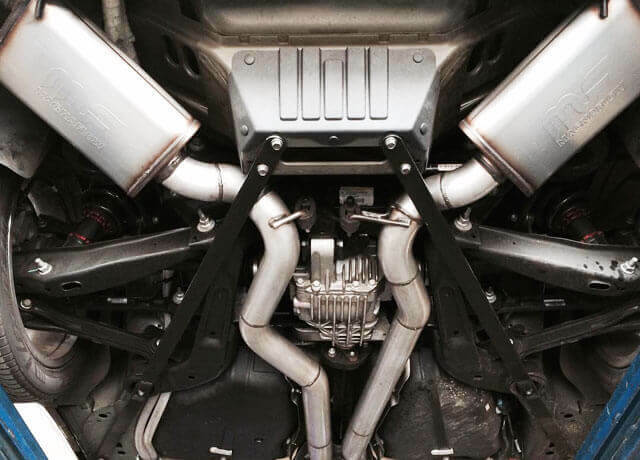 All of our work is performed by exhaust system experts, many of whom have between 20 and 40 years of experience. Our team goes above and beyond to give great service. We believe in helping people, and when we do a job, we make sure it's done right. Depending upon your goals and budget, we will recommend OEM, OEM-equivalent, or aftermarket parts. We carry many of the most well-known brands on the market for exhaust system components, including but not limited to Magnaflow, Flowmaster, Corsa, Catco, Car Sound, Walker, Miller, Dynomax, AIRAID, Black Widow, AP, Bully Dog, Superchips, and Edge. We also sell and install weld-in and bolt-on trailer hitches from CURT, TYGER, Reese, Hidden Hitch, and Draw-Tite. Most of these parts are backed by excellent manufacturer warranties, and we stand behind all of our work with a lifetime guarantee on labor. Call or visit Rogers Exhaust Shop today for a free quote or engine light check. Walk-ins are welcome, and we can provide estimates for most jobs over the phone. We're open Monday through Friday from 8:00am - 6:00pm and on Saturdays by appointment. For trailer hitch installations, we have qualified welders on site who excel at metal design, fabrication, and repairs. If you are interested in a custom exhaust system, we encourage you to stop by and speak with one of our technicians about your needs. 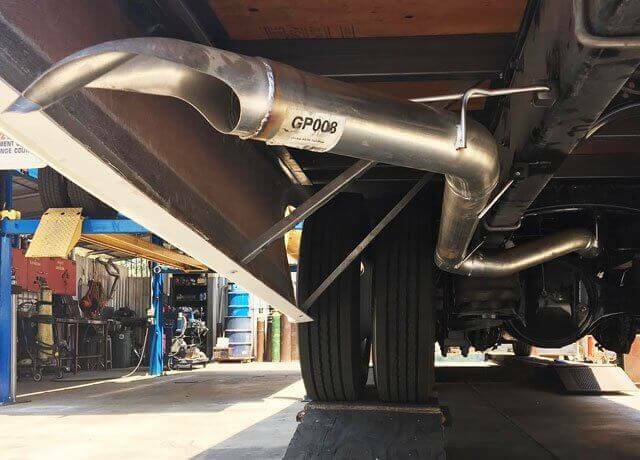 Rogers Exhaust Shop is licensed and insured, and we comply with all applicable automotive standards and requirements for the state of California. Rogers Exhaust Shop installed this 3” mandrel exhaust system with MagnaFlow mufflers on a 2016 Ford Mustang. 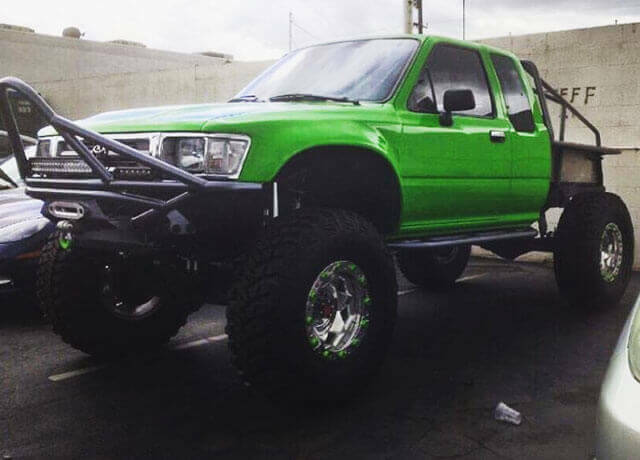 Visit our shop in Fontana, CA for all your custom exhaust needs. 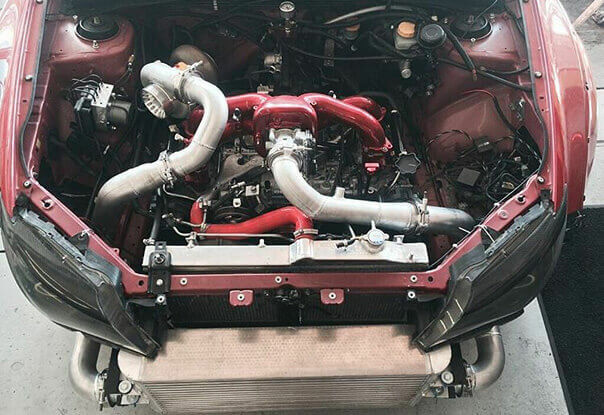 The experts at Rogers Exhaust Shop built and installed this custom intercooler system. We specialize in custom automotive welding and installation of mufflers, exhausts, and other modifications.